Should Teachers Have Strong Opinions? I am an opinionated person. I am also a public school teacher. Those two things should not be mutually exclusive. You should not have to give up the one to be able to do the other. Teachers should not have to relinquish their judgment in order to run an effective classroom. In fact, you might expect good judgment to be a prerequisite to doing the job well. Yet it seems many people disagree. They like their teachers tame, docile and opinion-free. Now don’t get me wrong. I’m not saying teachers should instruct their students to think just like them. I’m not saying they should indoctrinate or unduly influence the young people in their care. Just the opposite. They should spur their students to think for themselves. They should teach the young how to entertain an idea without immediately accepting it. But they have no business telling students, “This is what I believe.” They have no business misusing their authority to make their views seem normative. So I agree that teachers should be careful about expressing their opinions in the classroom. The problem comes after the school day is through. When a teacher goes home, all bets are off. When a teacher is not in front of a class of impressionable children, he or she should be afforded the same rights and privileges of any other citizen – and that includes the right to form an opinion and express it publicly. I am an educator. Hear me roar. That’s why – like many people in my field – I write an education blog. I’m sick of the media reporting on K-12 schools but never asking classroom teachers their opinions. Almost all major education policy in our country is made with little-to-no input from teachers: Common Core, high-stakes testing, value added measures, charter schools, Teach for America, school funding – the list goes on and on. No one asks us what we think so many teachers scribble down their private musings and send them adrift on the Nile of the Internet. This makes some people very angry. These folks often respond: How dare they!? No one asked their opinion! 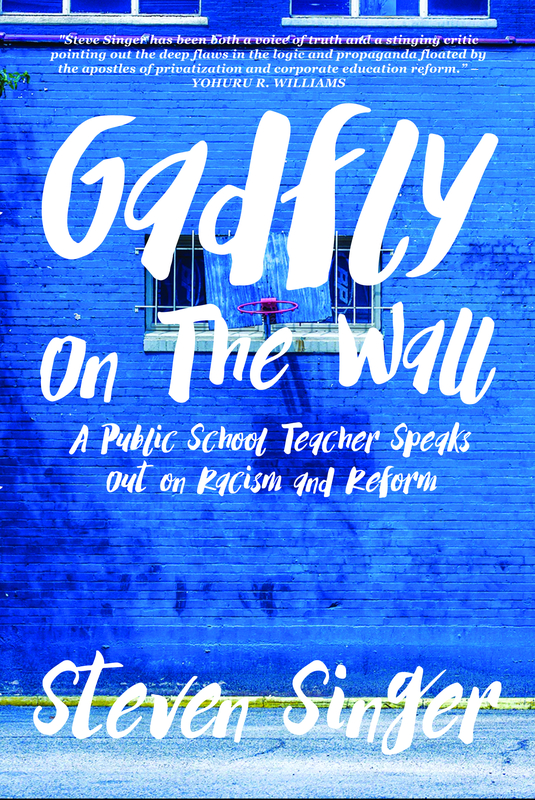 Some of us, teachers, even dare to address issues that don’t directly affect the classroom: racism, sexism, police brutality, the prison system, parenting – Heaven forbid – POLITICS! Those who criticize us for commenting on such disparate matters have a very narrow view of relevance. Just because a subject doesn’t include the word “school” doesn’t make it irrelevant to the classroom. Most of my students are impoverished and minorities. You think racism doesn’t impact their lives? You think I see nothing of the effects of poverty? You think I have nothing to say about my children’s relationship with the police? Still, few things upset some readers as much as the knowledge that I both teach and think. It’s funny. You never hear people speak this way of any other profession. Only teachers. We are demanded to pass a purity test from which even the priesthood is exempt. The clergy are rarely instructed to keep their noses out of politics. They’re even invited to do so from the pulpit. But teachers? No way! Not even on our off hours. It’s ridiculous. But it makes me wonder. How much of this restraint do these critics practice in their own homes? Do these same people who fear a teacher’s opinion stop themselves from influencing the views of their own children? Do they let their little ones make up their own minds about the world or do they tell them what to think? It’s not surprising that most people hold the same religion as their parents. Do we all start with an unbiased view of faith and just magically find the beliefs of our fathers the most suited to our own lives? Or do most parents stack the deck? Don’t most of us actively teach our children THIS is the way to believe? I wonder if these critics of teachers are really just afraid educators will disrupt their own work. How many parents want their own children to believe the same way they do? How many are afraid the schools will allow children to come to different conclusions? How many are afraid of being alienated from their own progeny? I’ll let you in on a little secret. I’m a parent, too. And, yes, I say things to my own child that I would not tell my students. If she asks a question, I give her a full answer including what I think about it. That’s a parent’s prerogative. However, I don’t insist she believe as I do. My daughter knows I want her to make up her own mind. I appreciate our differences and love her even more because of them. I don’t want her to be a carbon copy of me. Nor do I want that of my students or my readers. I just want a fair hearing. Hello, World! This is what I think! This is why I think it! And I wait for the world to answer back. I send my little message in a bottle onto the waves of the Interwebs. I just wish it sometimes didn’t return with a note telling me to shut up because I’m a teacher. NOTE: This article was also discussed on Diane Ravitch’s blog.